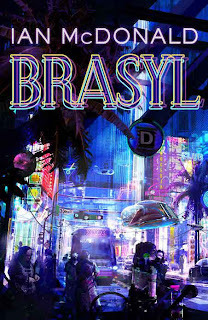 I loved the book a lot too - stylistically it's just great, atmosphere same and I am delighted it hit the right notes for a native Brazilian; the one quibble I had was the sf-nal concepts which started great but did not coalesce that well in my opinion. I thought River of Gods while less pyrotechnic and with its problems in the same respect of pulling threads together, a better sf novel overall, but this one was very, very good too. Incredible as it may sound, it didn´t hit the right notes for me - but I concede that it´s a hell of a good, well-written book, and the very best novel written on Brazil by a foreigner author. I wonder what Indian readers thought of River of Gods, btw.